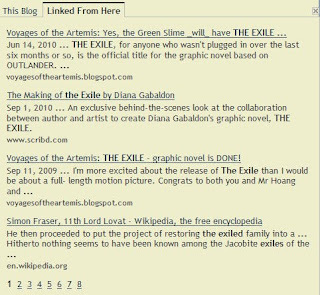 I have added a new "Search this Blog" feature, located just below the blog archive on the left-hand side of the page. Simply type in any word or phrase, just as you would with Google, and click Search. 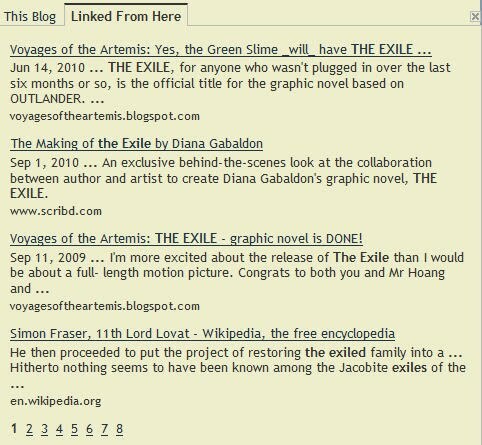 The search results are displayed in the middle panel of the blog, where the blog entries normally appear. 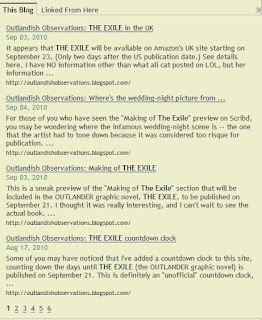 You'll notice there are two tabs at the top, "This Blog" and "Linked from Here", and an X at the far right. 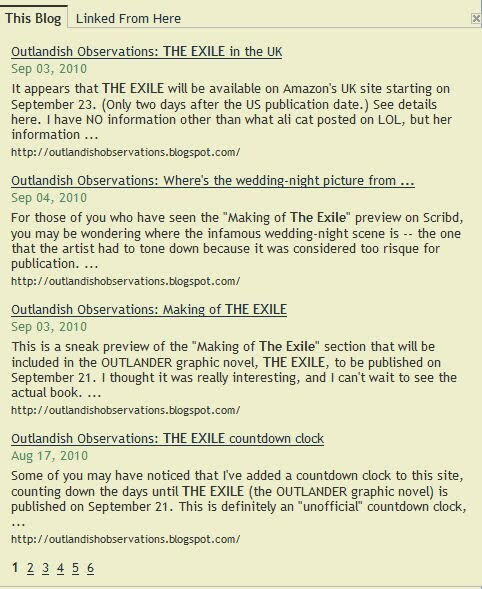 "This Blog" shows you all the references found on the blog itself. To close the search results window, just click on the X at the top right corner. I hope this will be helpful to you. Now that I've accumulated two years' worth of blog posts, there is a LOT of information available on this site, and this new search function should make it much easier to find. I love the new feature on your blog. In fact, I just read an interesting post from April on International book covers thanks to your new feature.